Multiple scenes of Sherman County, Kansas. In the Roberts barber shop photograph, pictured left to right: John Dobbs, railroad conductor; Fred Roberts, barber; John Yearick, barber; unknown; Leo Roberts, barber; and Roy Coleman. 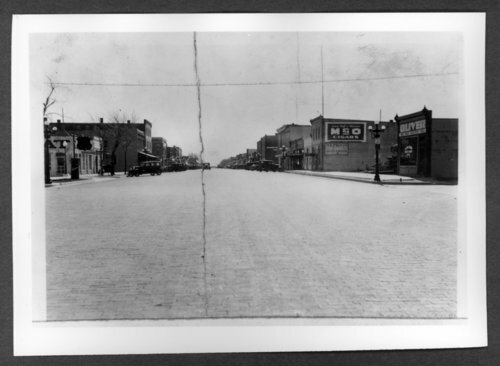 Scenes of Sherman County, Kansas - Looking south down Main from 9th, 1934.